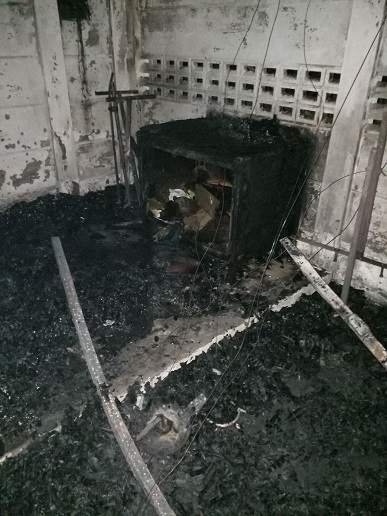 A church in Puducherry in southern India was set ablaze recently, after upper-caste Hindu neighbours had objected to worship services in the area. Puducherry, formerly Pondicherry, was a French colonial settlement until 1954. 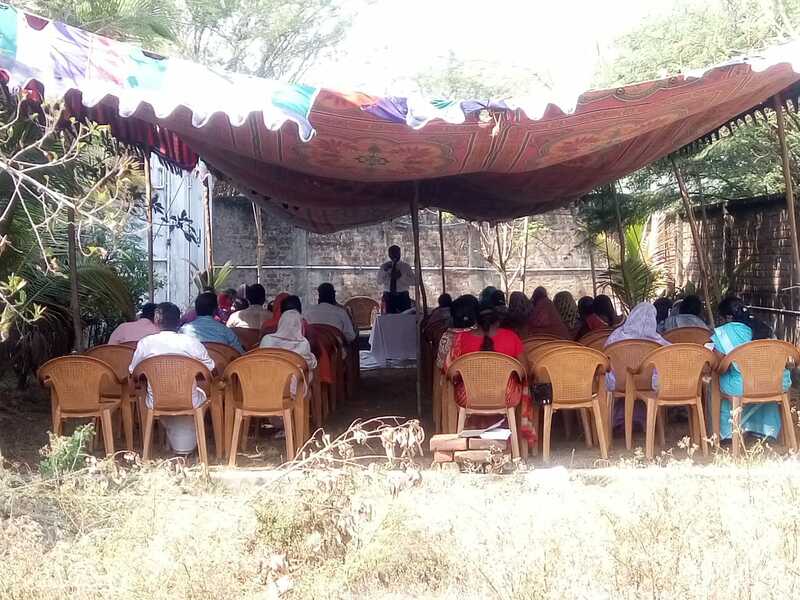 Pastor David Santosham and members of the Bible Presbyterian church in Karaikal District left for home after concluding fasting prayers on 25 May. At around ten past midnight, he received an anonymous call informing him that the church was on fire. “My rented flat is about five minutes away. I rushed immediately. The church was in flames,” Santosham told World Watch Monitor. “My daughter called the fire brigade; she passed word to church members also. The church’s roof, made of tar sheets and bamboo supports, was reduced to ashes. Christian literature and musical instruments costing the equivalent of around $4,500 were also burned. 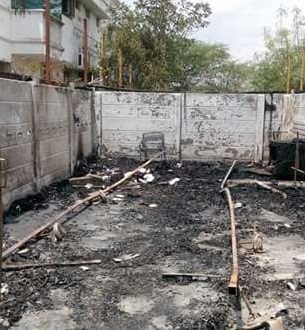 Santosham said that, after ten days of persistent visits to police in local Neravy, they finally lodged a First Investigation Report (FIR) on 6 June, citing section 436 of the Indian Penal Code against “unknown miscreants” for torching the church. Asked why the delay, Station House Officer Jerome Jesmond told World Watch Monitor: “Even the fire department could not ascertain the cause of fire. We waited for their report to decide whether to register an FIR. Over the past two weeks, the church has gathered in the open air under a tent. His daughter, Evangeline, 18, told World Watch Monitor her father’s church had been attacked twice before – first in 2012, and then in 2016. “On 30 September , a mob of 80 RSS [a Hindu nationalist group] activists circled the main entrance of our church. My dad and I went to unlock the church gate. It was Sunday… But our neighbour and his counterparts would not allow us inside the church. “A representation was made to the National Commission for Minorities, and we believed the problem had been solved … only to be attacked again in 2016, when we decided to repair the roof. “We bought all the material for the repairs and were arranging the iron rods to stand as pillars. But our neighbour objected to it and the work was forcibly stopped. “We could only put a tar sheet on as a roof and set some bamboo as supports. It was a very simple church. “Some boys on their way to offer prayers at the mosque were the first ones to see the fire, and they knocked [on our neighbour’s] door, but he did not answer. The fire had spread a small way by then. But the neighbours living in the front lane came out; they told them. Hay in their neighbours’ compound, adjoining the church, was also in flames, but Evangeline said the neighbours “did not care”. Established in 2008, the Bible Presbyterian Church had been functioning with permission from district authorities. “The piece of land was also registered in the church’s name, and we received approval from officials to conduct worship services,” Evangeline said. Religious freedom advocacy group ADF India’s records show that in May 2017, construction of a church in the Malagapudi Pattu area of Puducherry was forcefully brought to a halt by hard-line Hindus. Nehemiah Christie, Director of Legislations and Regulations at the Synod of Pentecostal Churches, said: “The burning of the church in Puducherry is a call for Christians … to come together, leaving behind denominational differences. “The situation is worsening because of the federal [BJP – also Hindu nationalist] government’s silence. Also the inaction of the authorities emboldens the extremists to attack Christians. It’s sad to see the spread of Hindutva [Hindu nationalist ideology] extremism from Tamil Nadu [the Indian state where most violent attacks against Christians have taken place] to Puducherry. “No action has been taken by the authorities in the past against extremists who, in Tamil Nadu this year, have disrobed Christian women, attacked pastors, and burned Bibles. Police conveniently register the case ‘against unknown assailants’, despite clear evidence of video footage, including where the victim states the suspect’s name.